Cortana Beta 217 APK is now available for Android and it is free. You can download it and install it to your device. This is not official release, it still beta app. 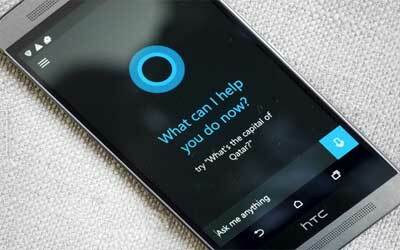 Microsoft officially announced their latest digital assistants, Cortana, will be present for Android devices. It was submitted directly by Corporate Vice President of Microsoft, Joe Belfiore in Microsoft’s latest promo video. The apps carry most of the same functions as in Windows Phone. Although there are some features that are not available because the application for Android is not the default application as the Windows Phone. For information, the user can activate it by saying “Hey Cortana”, then Microsoft’s digital assistant will answer all the questions users. Specifically for iOS and Android smartphones, Cortana can function as a reminder of the current location of the user to go during the day. In addition, Cortana will also tell routinely schedule of daily users and a digital assistant that also make it easier for smartphone interaction with Microsoft applications, OneNote and onedrive wide platform. In this version I don’t see big update from the previous app. But I feel this version has better performance. If we have bad connection or slow internet connection the app will be crash. I think the developer have to fix it for better performance on the next update.